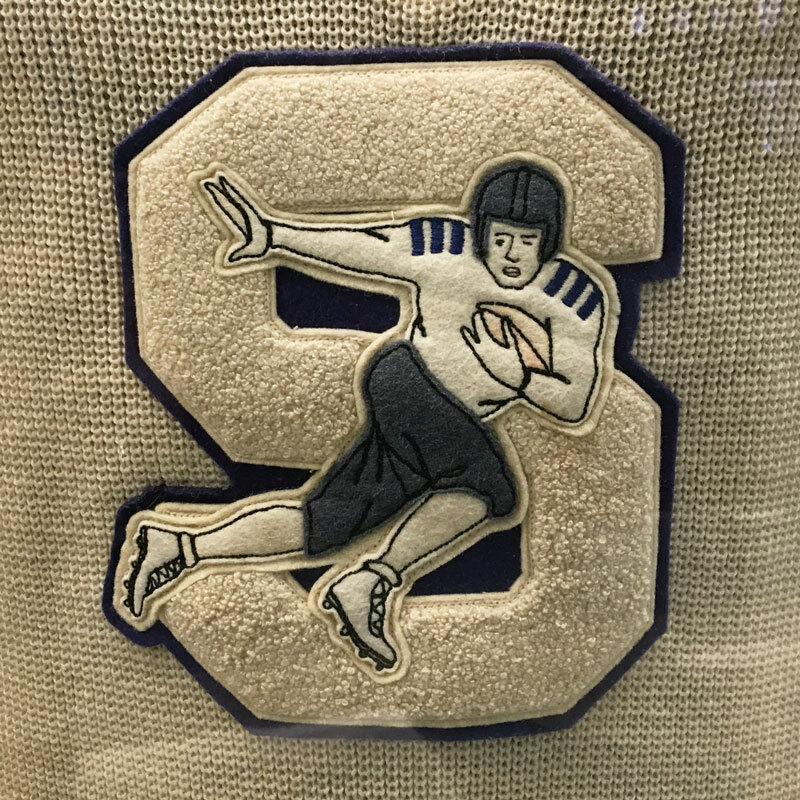 Letterman sweaters, cardigans, and football jackets have been the champions of collegiate wear for decades upon decades. Timeless in its style and forever in fashion, there is only one chenille. A true champion in every way. Chenille is priced by the square inch. However, this is just a starting point as there are other factors affecting price calculation. The Chenille process also has some limitations in terms of borders and outlines as well as color choices. Share your idea with us and we will produce an accurate quotation for your project. Here are some guidelines to help with some rough calculations for preliminary budgeting purposes. Chenille crests 4″ x 4″ – approximately $29.00 per emblem. Production time to prepare chenille letters and crests is typically 6 weeks .